VeriFone digital taxi-top advertising display by Bluemap Design. Configuring Hi-Definition monitors into a road capable package addressing discriminating urban styles, realities of pothole-strewn streets and rooftop advertising is no small task. Bluemap Design managed to marry the brutal truths of the urban environment while providing a functional platform that wet the appetite of contemporary Ad-Men. From an aesthetic standpoint, Bluemap Design’s creation of the VeriFone Digital Taxi-Top Advertising Display would be right at home in the Museum of Modern Art. With clean, crisp lines and a durable aluminum casing, the industrial design style is on par with the best designed, world-class computer or TV monitors. 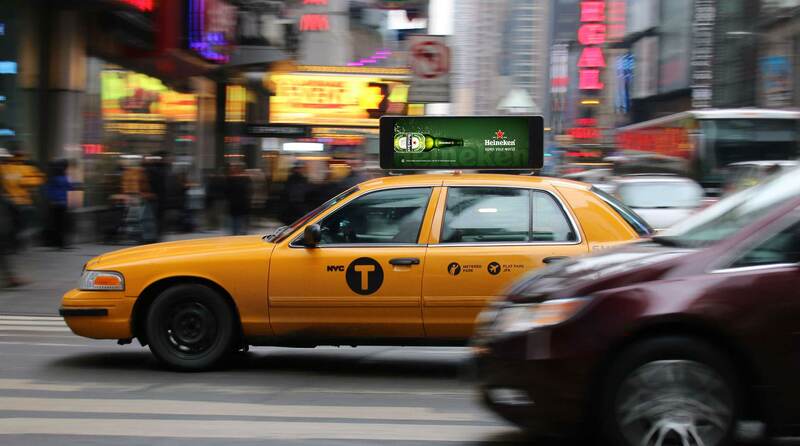 Launched in the “Big Apple” on “Super-Bowl Sunday,” 30 Taxis with Video Tops featured NFL videos commemorating and celebrating this revered day in American culture. It also demonstrated a new advertising platform to folks traveling to the game, waiting in line to enter the game or simply walking on the streets. 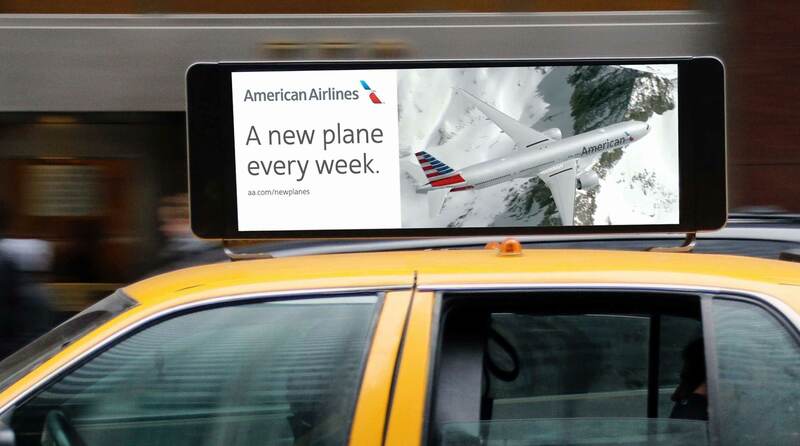 It sent a loud and clear message – Advertising Has A New Ride! Bluemap Design created a functional canvas for advertisers. The straightforward, clean design makes a crisp statement without overwhelming intended advertising content. Starting with a custom 14.4” X 41” vivid, full motion, Hi-Def LCD screen, and associated electronic drivers. Bluemap Design configured a clean aluminum frame to form a durable container. This frame provides the basis of the design, incorporating video monitors, electronics, medallion, and mounting fittings. The unit is designed to fit most taxi roof lines and to withstand the coldest winter nights, the hottest summer days and all the trauma that city streets can provide. The design meets all functional objectives, yet provides a clean, contemporary appearance worthy of the most modern city. This design stands out with its bold directness and refined restraint to unequivocally support the intention of selling advertising. It’s a welcome expression of great design. 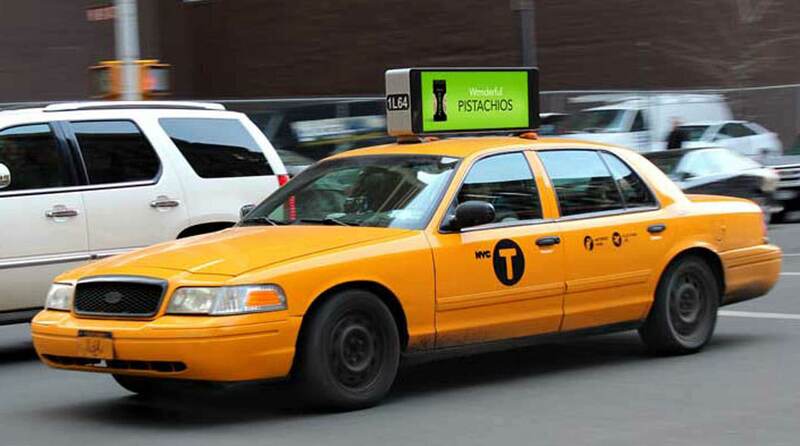 The VeriFone Digital Taxi-Top advertising displays are the most modern, dynamic and attention-getting communication resource on the urban landscape. 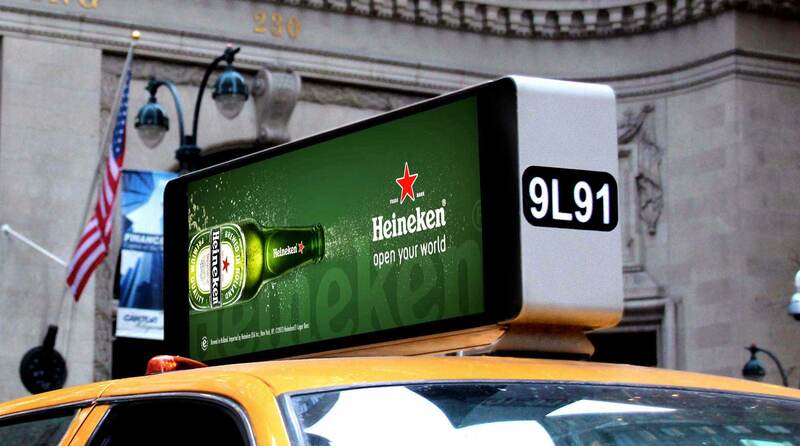 They change the paradigm of street and taxi-top advertising.